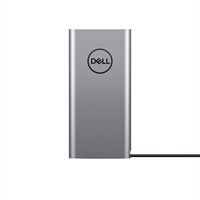 Dell Notebook Power Bank Plus - USB-C, 65Wh - PW7018LCThe Dell Notebook Power Bank Plus - USB-C, 65Wh, is the world’s first USB-C notebook power bank to charge the widest range of USB-C laptops, as well as mobile devices. It offers a high power delivery of up to 65W and can charge laptops and mobile devices with voltage profiles of 5V, 9V, 15V or 20V. Its large 65Wh, 6-cell battery keeps your laptops, tablets and smartphones running longer. Plug your smartphone into the secondary USB-A port to charge it alongside your USB-C laptop or use it as an extra port to view and edit content from your smartphone or flash drive. 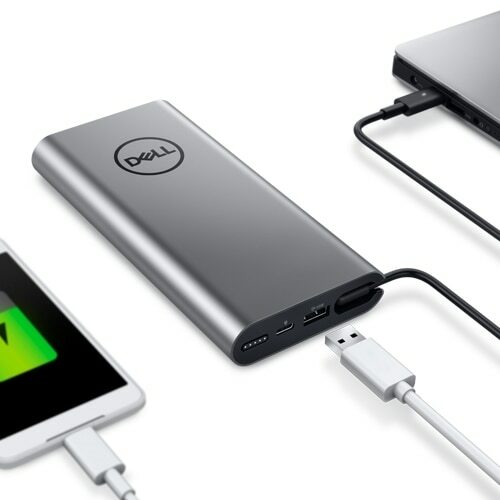 The Dell Notebook Power Bank Plus - USB-C, 65Wh charges the widest range of USB-C laptops, as well as mobile devices, offering uninterrupted productivity. 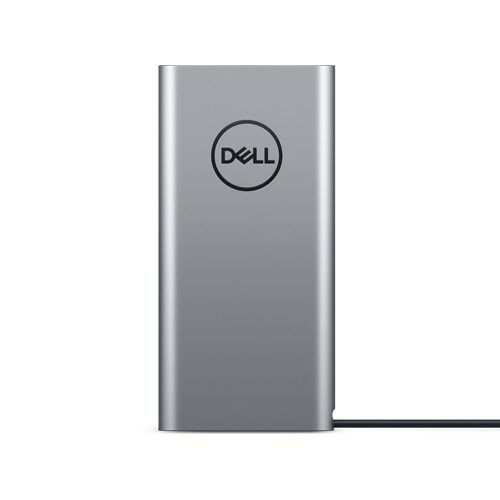 When you need power on the go, the Dell Notebook Power Bank Plus - USB-C, 65Wh can charge the widest range of laptops and devices with a high 65W power delivery. Whether you need to charge devices with voltage profiles of 5V, 9V, 15V or 20V, the Power Bank Plus has you covered. The large, 65Wh, 6-cell power capacity keeps your laptop and mobile devices up and running longer and charges laptops requiring up to 65W of power delivery - for uninterrupted productivity while you're out and about. Get an additional run time of up to 16 hours** on your Dell XPS 9370. Enjoy dual device charging with data read and write capability thanks to the secondary USB-A port. Plug your smartphone into the secondary USB-A port to charge it alongside your USB-C laptop. This extra USB-A port offers viewing and editing of content from your smartphone or flash drive, without taking up another USB-A port on your laptop. 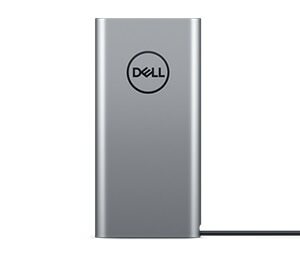 Dell Notebook Power Bank Plus – USB-C, 65Wh requires a USB-C power adapter (sold separately) to charge. Select Dell laptops (Latitude 5x90/7x90) may not ship with a USB-C power adapter. The cables coil easily around the slim profile and rounded edges of the power bank to fit neatly in your bag for tidy storage. * Dell follows the standard USB-C protocols, full functionality with other brands of USB-C laptops may differ. **Extended hour calculation estimate is based on system to Dell Notebook Power Bank battery capacity ratio and published Mobile Mark 14 battery life scores, subjected to system usage condition.